Most of you will probably be familiar with the old game known as spot the difference. 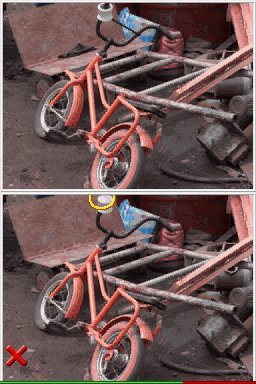 For those who aren't, it's generally meant for children and simply involves looking at two pictures side by side, an original image and an altered one, between which you have to find any differences. 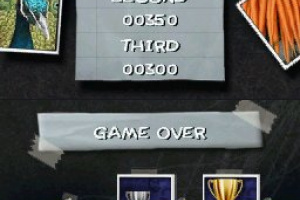 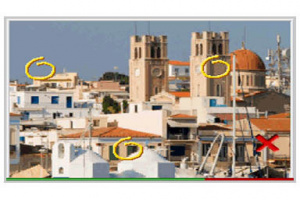 Now, Enjoy Gaming Ltd. has brought Spot the Difference to DSiWare, and for what..
How good is your eye for detail? 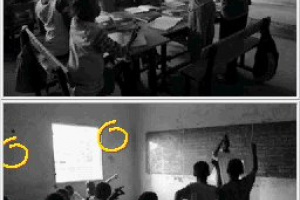 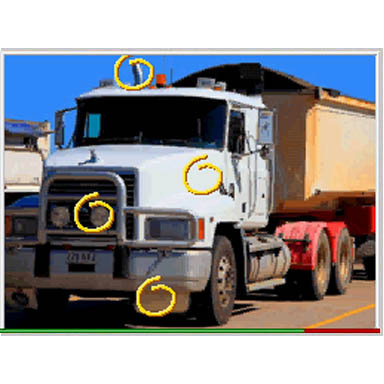 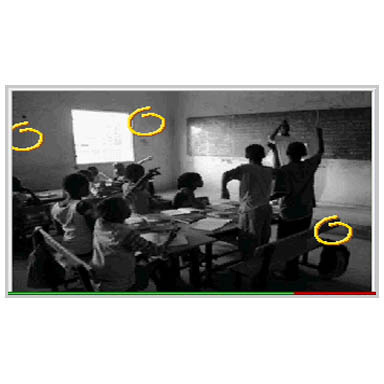 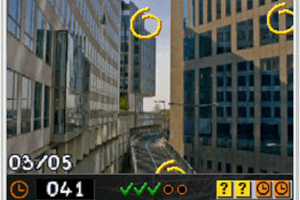 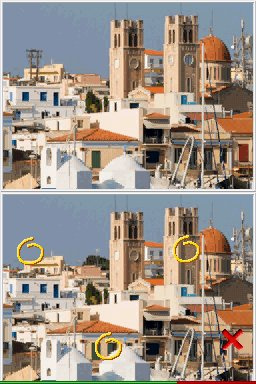 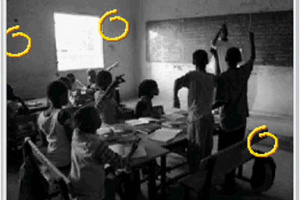 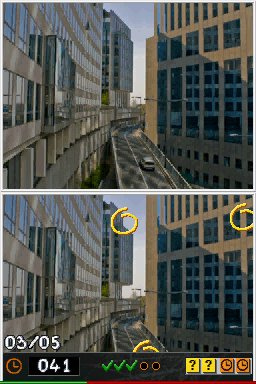 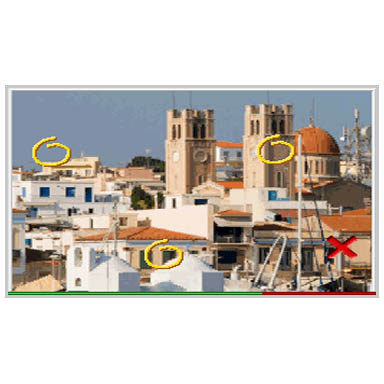 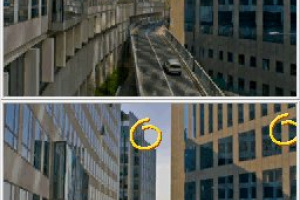 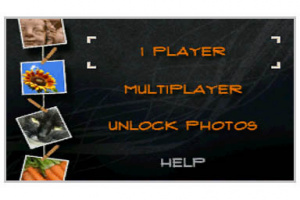 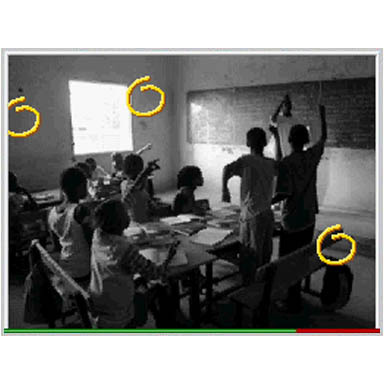 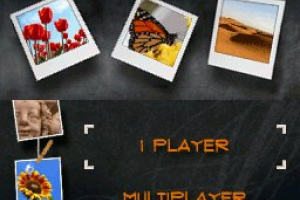 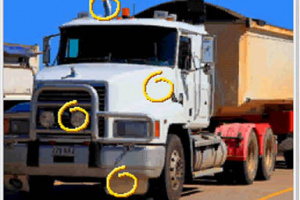 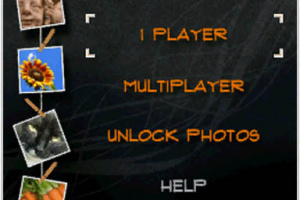 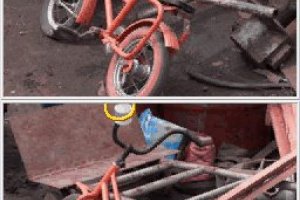 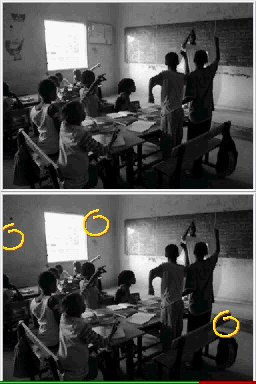 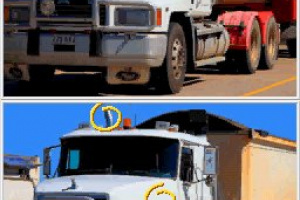 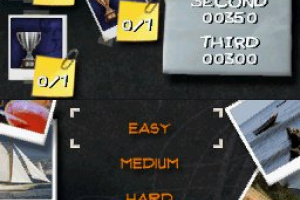 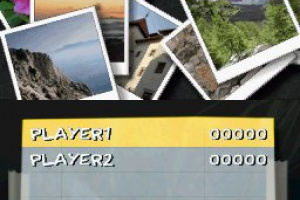 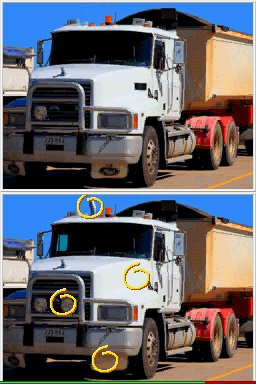 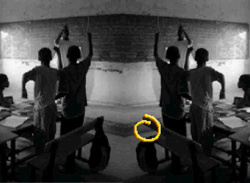 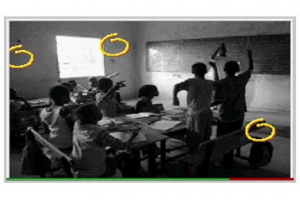 In this game players will be challenged to track down the hidden differences embedded in two pictures. 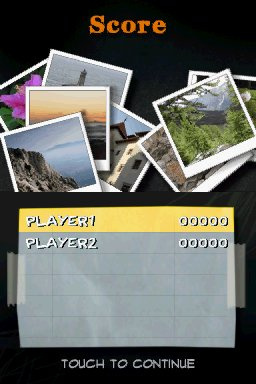 Using the Nintendo DSiWare’s two screen capability, players will be presented with mirror images, where small details have been changed in only one of the pictures. 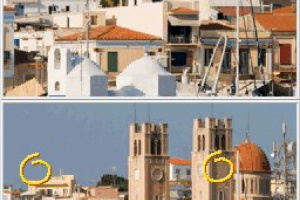 Spot all the differences in the allotted time to move onto the next challenge. 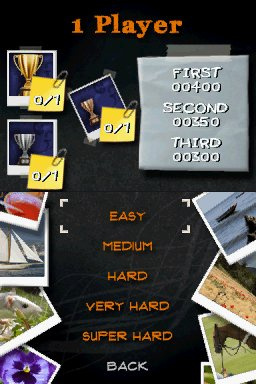 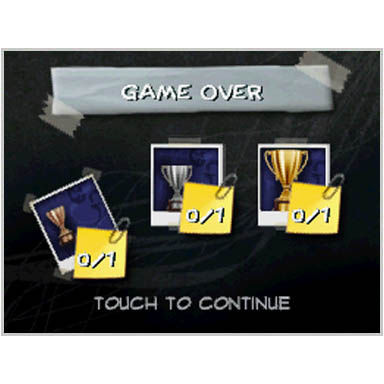 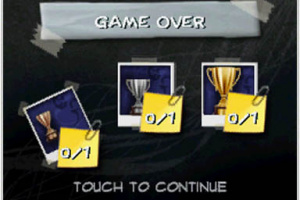 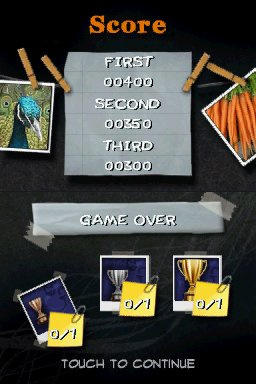 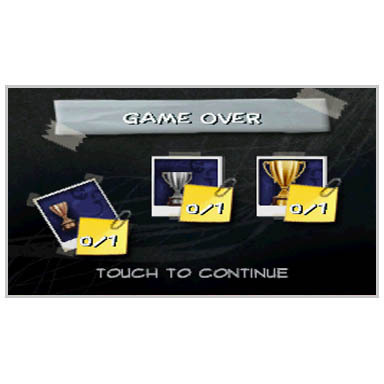 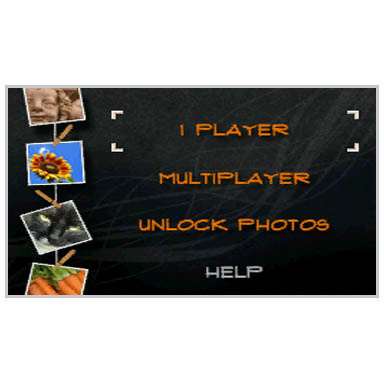 Progression through the game will see the awarding of Bronze, Silver and Gold Cups and unlock the 160 different photos which feature in the game. 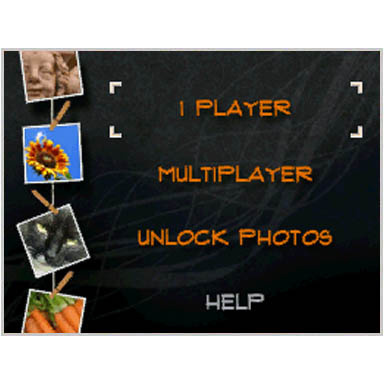 With more than a thousand different combinations of differences to find in the images, this game will keep you occupied for quite some time! 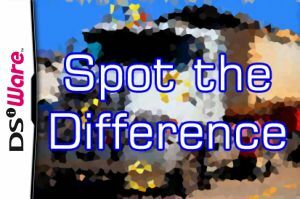 Love Spot the Difference games! 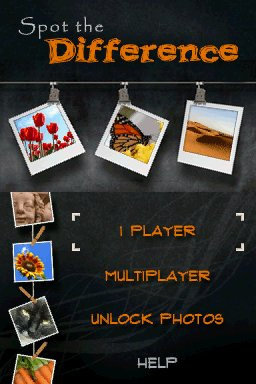 A definite download for me!